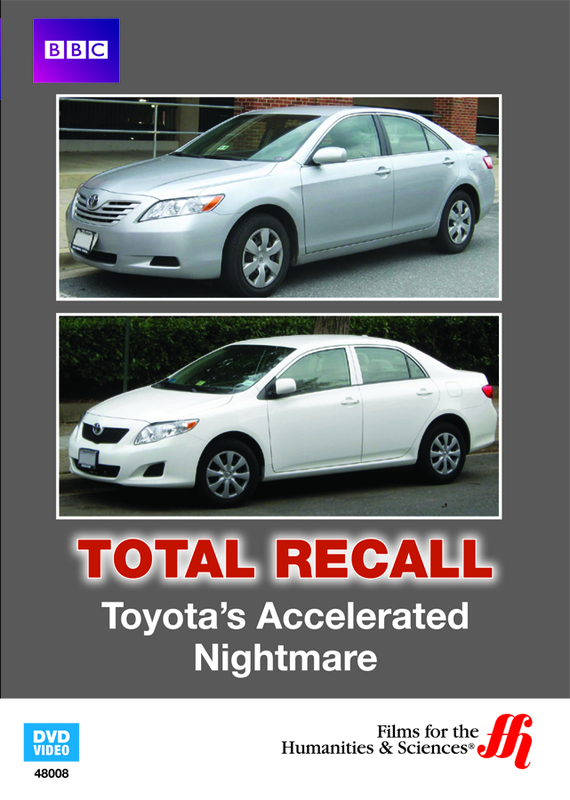 The Total Recall: Toyota's Accelerated Nightmare enhanced DVD will help future manufacturers avoid the growing pains that Japan's top vehicle manufacturer has experienced. Toyota is one of the world's leading automobile manufacturers, and the company leads Japan's automotive industry. However, recent recalls have seriously damaged the company's once unquestionable reputation. The most notable of these recalls took place between 2009-2011, when thousands of vehicles experienced issues with the accelerator pedals. This enhanced DVD, examines how a company once dubbed the 21st century blueprint for manufacturing has struggled with quality control. This is often times the result of rapid growth which the automotive giant has certainly experienced. 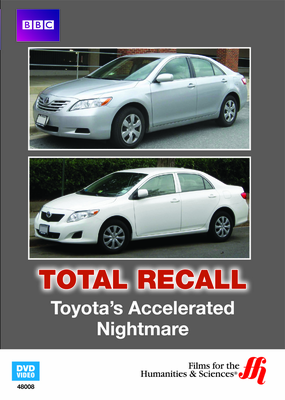 Perhaps future manufacturing companies can learn from Toyota's mistakes and avoid their accelerated nightmare. Recalls are expensive and they severely impact profits so it's wise to pay attention to anything that can avoid them.